This is our pick for wheel of the week: The SLG45 forged billet wheel from Billet Specialties. 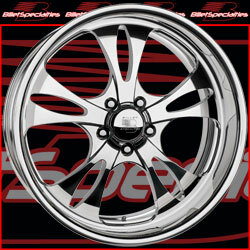 It comes in many sizes from 17″ up to 22″ and a variety of widths and wheel bolt patterns. They are not cheap, but they are forged and gorgeous! Check them out on the Billet Specialties website.